I am a professional voice over artist with 6 years in this Industry but 36 years of impersonations and theatrics under my belt. I am fully capable of all genres but love doing character voices. I have my own fully equipped recording studio. I also specialize in accents. I have done a variety of voice over work for Beverly FM in the UK encompassing commercial, character and educational. I am the intro voice cowboy for Robbie West’s “Drive Time”. 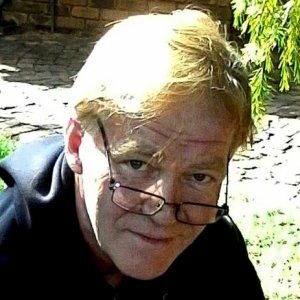 I have also done voices for Les Smith,(also of Beverly FM) for his Springbok Radio Preservation Society shows. I am currently freelancing for an agency on the Internet and have performed mainly character voices for clients, particularly for games, including the voice of a wizard, a grandfather and some cartoon voices for a local Animation Company. I am extremely excited about what I do but character voices are my passion!